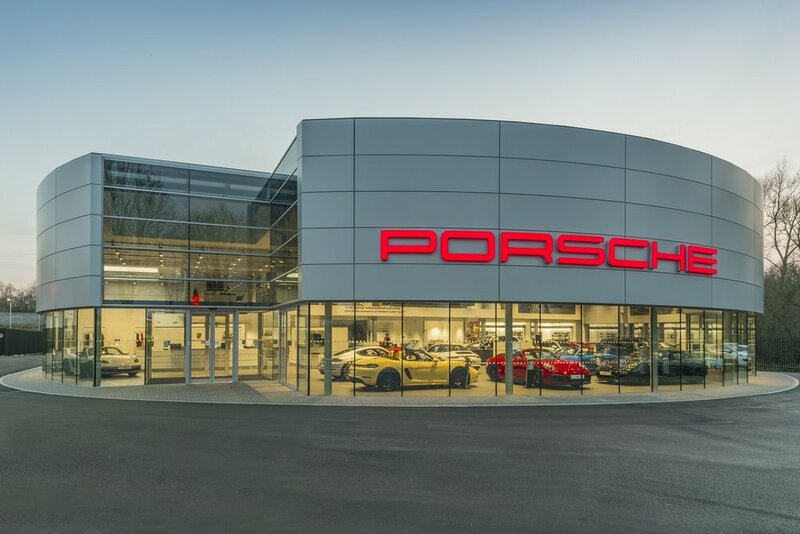 We were asked by Jardine Motors Group to help design a brand new Porsche showroom, after demolishing an existing building. Adapting to new Porsche brand standards, we worked with the team at Jardine Motor Group to design and build a new showroom and workshop space. We worked on external site reconfiguration to maximise vehicle parking space, as well as establishing new areas for servicing, valeting and storage.